2bd/3ba Luxury Condo w/pvt hot tub, views!!!! 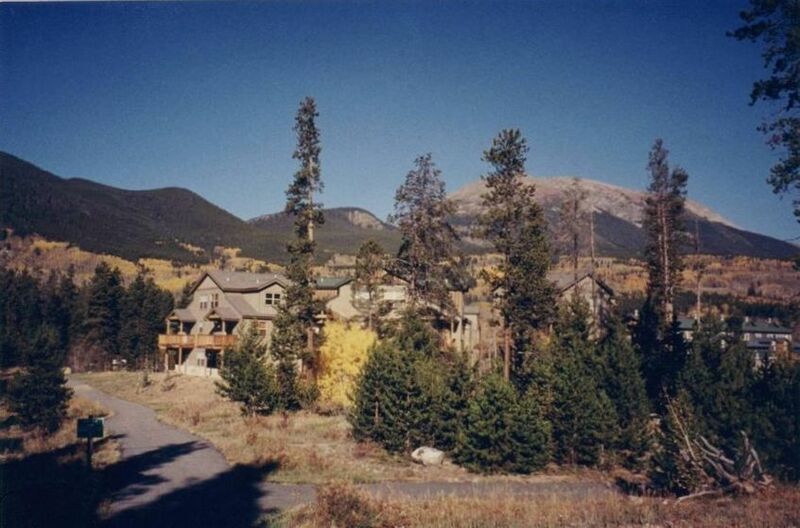 We would like to invite you to come stay in our luxury townhome in beautiful Frisco, Colorado. Breathtaking mountains, crystal clear lakes, bright blue skies, and friendly people will make your vacation in Frisco the best you have ever had. *5 minute walk to convenient shopping & rentals, Gonzo's Coffee, Whole Foods and Summit County Stage FREE bus system (serving Arapahoe Basin, Breckenridge, Copper Mountain and Keystone). *The Summit County Bike System is our your back door! Our townhome has nine-foot ceilings, hickory floors, wood blinds, walnut cabinets, granite countertops, six-panel doors, in-floor radiant heat, a charming gas fireplace, a private hot tub deck and a luxurious master suite with a jetted tub and a walk-in closet (with a washer/dryer). The attention to detail promises a comfortable stay. We will rent both short term and long term. Short term is a 3 night minimum which can be waived by paying the $150 cleaning fee and is the default on the website. Long term is considered a stay over 2 months, is contracted separately and paid monthly (4 weeks per mo.). The summer is from May 1-Oct 31and includes utilities. The winter is from Nov 1 - Apr 30 and does not include Xcel (elect/gas) or Xfinity (cable/internet). There is an added discount if you rent the entire 6 months. Whether you are looking for an active vacation full of fun and adventure or a quiet, relaxing mountain retreat, this is the place for you, your family, and friends to spend your next vacation! Contact us if you have any questions. We look forward to hearing from you. We both grew up in Boulder, Colorado enjoying the nearness of the mountains. We love the outdoor life Colorado affords us. We have three grown daughters, 3 son-in-laws, 2 grandsons and currently live in urban Denver. We enjoy our home in Frisco whenever our schedule permits. We had been waiting for the right property to buy and this townhome fit our needs perfectly! Frisco offers the friendly people and charm of a small town yet is within a few short miles of world class skiing, outlet shopping and plenty of 14'ers to keep you busy in the summer. Our home is an easy walk to everything we need. We're especially fond of: -hot tubbing under the stars on a crisp mountain night after a long day of skiing or hiking -sleeping soundly in our cozy king size bed - walking to Main St. for a festival or parade on a clear summer day - the quiet - enjoying morning coffee or evening wine on our back patio - grabbing a hot cup of coffee at Gonzo's & relaxing on a bench in the park surrounded by the beautiful Rocky Mountains. toilet, shower, jetted tub, The 5pc master bath is on the upper level. toilet, combination tub/shower, The guest bath is on the lower level. There are beautiful mountain and/or wooded views from every window. You can see 4th of July Fireworks (over the lake) from the hot tub! There is a lanline at the unit that can be activated for a small fee upon request. We have in-floor-radiant heat so there's no forced air, floors are warm to step onto, less drying! All bed linens, including sets for sofa & inflated beds provided free of charge. Washer is for private use and is located in the unit, supplies provided free of charge. Dryer is for private use and is located in the unit and has an installed fabric softener. The garage has an electric opener, is heated and has an exit door to a rear patio, a window and door into the house. Provided by owner. Login information is in the notebook you'll see when you arrive. There is a generous amount of towels provided free of charge. The living room is on the main (2nd) level and has a sofa, 2 chairs and entertainment cabinet w/TV,DVD,Stereo. Additionally, there is a game table w/chairs by the back door. We keep a stock of spices, baking supplies, seasonings & condiments for our guests. Refrigerator, stove, oven, microwave, dishwasher, sink, crock pot, coffee maker, blender, toaster and many kitchen staples. There is a TV in both bedrooms as well as in the living room. There is cable TV in each of the 2 bedrooms and in the living room. There is a stereo in the entertainment cabinet that can play CDs as well. We have a selection of books that our guests are invited to take, add to or just use while they're there. There are a number of games & puzzles in the entertainment cabinet. We have an iPod radio dock so your music library will travel with you. Some age appropriate toys are available upon request. We have an optional video library. If you're interested you may email us and we will send you our selections to choose from. Your videos will be waiting for you at the unit. There is a small, well kept front yard. The back area has been left natural to blend in with the surrounding area. There is a balcony/hot tub deck on the 2nd floor over the patio with amazing views. There is a back patio on the lower level under the hot tub deck for BBQ and enjoying the fresh mountain air! I'm sorry, unless a wheelchair guest is OK with entering on the guest bd/ba level (back porch) and not going up a full flight to the common area (living room, dining room, kitchen, etc...) I wouldn't recommend it. The private hot tub is located on the hot tub deck off the main living area with great views!! Queen & twin inflate-a-beds, port-a-crib, fan, space heater, ample ski/board storage, close to major bike path, free shuttle and shopping. Discount activity & lift tickets available through Pioneer Sports down the street. Snowshoeing, Disc Golf, Outdoor Summer Concerts, Bike Races, Parades, Festivals, Farmer's Market and Relaxing!